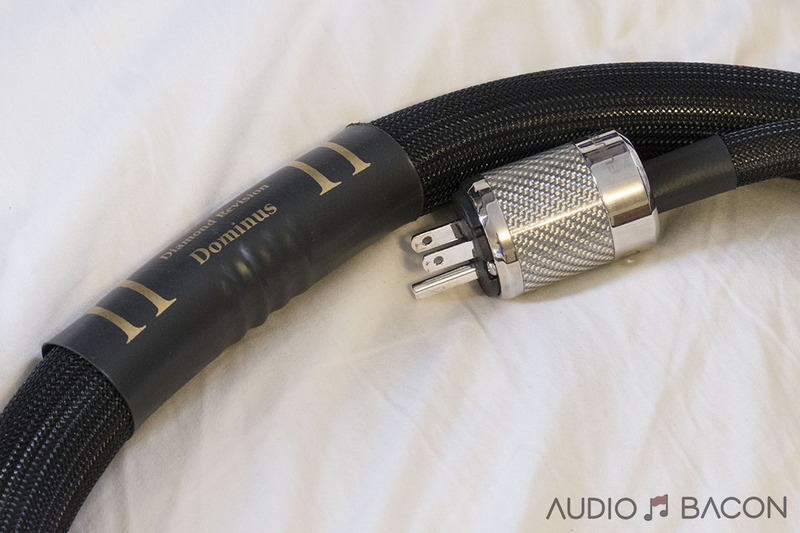 I’ve reviewed the Danacable Lazuli for the Abyss and it was a significant upgrade from the stock cable. At the time I thought it was a tad warm and closed-in for my tastes but I thoroughly enjoyed the vocals and sweet sound signature. Since then I’ve yearned for that full and seductive midrange, which I’ve only heard from a Danacable. When Vinh from Danacable mentioned the new Lazuli Reference (which uses double the copper), I felt like I could predict what it would sound like on the Focal Utopia. My guess would be a tad warmer, a little bit more clarity and resolution, and a touch more shimmer up top. 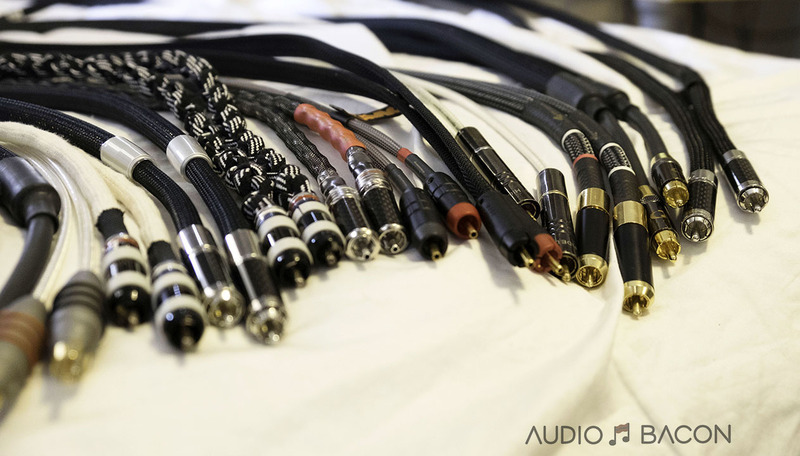 After comparing it with a few other high-end cables, it turns out to be a bit more complicated than just a few general descriptors. Given the attention the Focal Utopia has garnered in recent times, I thought I would try out a few cables to find a pairing that would synergize best with the Chord DAVE (really wish I had a Liquid Tungsten in the chain). Typically when doing cable reviews, I usually have a definite preference and gravitate towards certain cables immediately. This wasn’t quite the case with the Utopia. I believe for the first time ever, the Headphone is so good and easy to drive that any cable would sound great with it. Heck, even upon initial listening the stock cable sounds pretty decent. I’ll preface this review by saying that all these cables are fantastic and it does come down to preference with these high-end cables. Each has its character and all them sound great on the Utopia…which is a rarity in this industry where synergy is difficult, time-consuming, and expensive to find. Depending on the stage of your audio journey, you may prefer something more detailed now and something more cozy later, etc. Let’s get to it. These are my raw notes so they aren’t completely structured but I figured it would give an honest impression on the various sound signatures. This is a really fun cable with lots of slam and energy. It also looks great. During my listening sessions I noticed that the treble might be a bit hot and splashy. It doesn’t quite have a natural tonality. Cymbals are a little tinny and just more treble glare in general. “Aggressive” comes to mind. If you multi-task while listening, you’d probably prefer this over the Nordost. It’s a quick, impactful, and provides an addictive texturing to the sound. The sound is definitely colored for musical enjoyment. A lot more meat to the bones vs the Nordost. Has more sparkle, slam, and shine than the Nordost by a large margin. If you have a warmer setup and prefer a more detailed and natural sound, the Prion4 is better. The Danacable sounds much more natural and coherent in comparison. Now this is an interesting cable. The sound was so unique I had to take a look at the actual cable. I didn’t realize most of it was made of teflon and there’s hardly any copper in it. This is the most accurate sounding cable of the bunch. Its tonality is on-point and it’s delicate but accurate. The Axios is definitely the more euphoric cable but I was drawn to the musicality, detail, and naturalness of the Nordost. The Nordost provides some staggering insight into the music. It’s just not as engaging as either the Kimber or Danacable due to its lack of low-end heft and leaner sound. I’ve actually never heard instruments sound this realistic on a cable. Period. It’s the most mellow as far as euphonic presentation. Really does lack the warmth to make it fun. It’s the tightest sound but the image is quite small compared to the other cables. Nordost is very fluid but isn’t as fun as the rest. It doesn’t have that lush atmospheric sound for live recordings. Nothing is exaggerated, just a clean, balanced, effortless, beautiful, and free-flowing sound. Instruments seem to take a backseat to vocals. Really needs more meat on the bones but this cable did garner a lot of my attention along with the Danacable due to it’s ridiculously natural tonality and resolution. 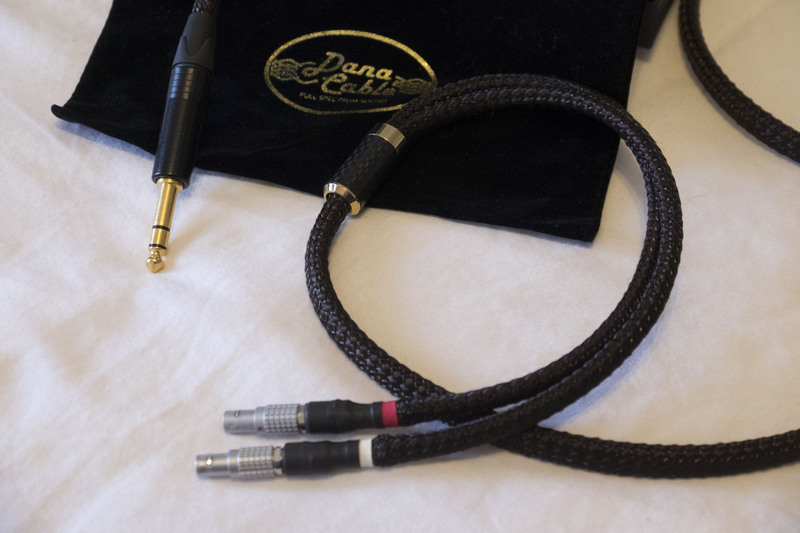 This is my reference cable for most headphone listening and has provided me with valuable insight for most headphones I’ve reviewed. I love this cable because it’s pretty consistent in its character across all headphones. It’s very honest without being polite and it’s the most detailed cable of the bunch. As far as coherence, tonality, clarity, soundstage, energy, etc, the Prion4 shines. It’s a very fluid, expansive, and high resolution sound. The only thing it lacks a bit of textual warmth. I think this cable along with a tube output stage + Chord DAVE would be a heavenly combination. I’ll have to try more combinations in the future. A truly impressive headphone cable. It’s not as energetic as the Kimber but is much more tonally accurate. It has a more forward sound vs the Nordost, in a good way. It’s even more detailed than the Nordost and in many ways a bit more smooth and transparent. 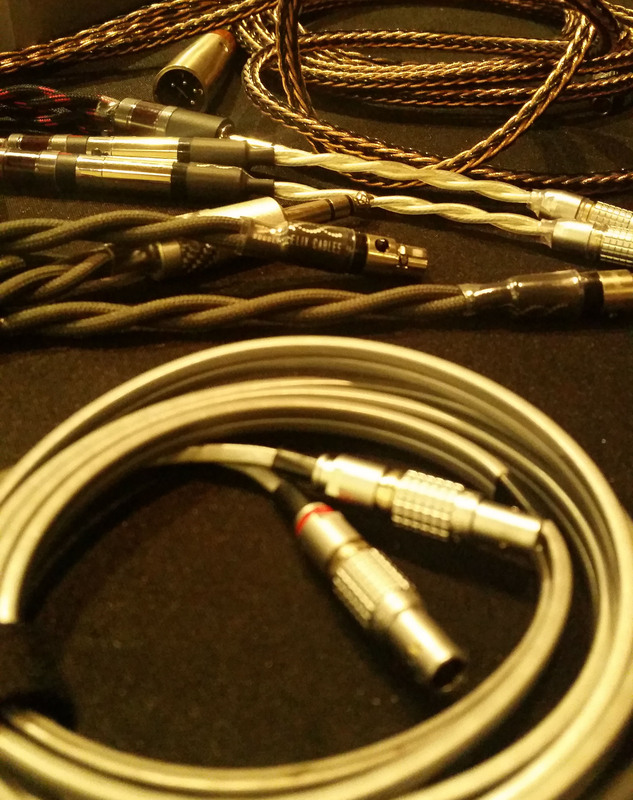 As mentioned, the Nordost has the most natural tone, especially for instruments, I’ve heard from any of these cables. It doesn’t sound as accurate/realistic as the Nordost (none of them are, could be that teflon) but provides a very enjoyable tonality and low-end weight to make it immensely enjoyable. I preferred the Danacable over the Kimber in almost all cases. I felt like the Danacable did just enough of the right things to make music enjoyable. This cable has the largest image out of the entire cast. It’s quite nice when the kick drum hits and the crowd goes wild. You’re really immersed in a the music. It’s one of the primary reasons why I prefer this cable. More forward than the Nordost, which isn’t a bad thing. Lots of crunch, energy, textures, and just plain fun. 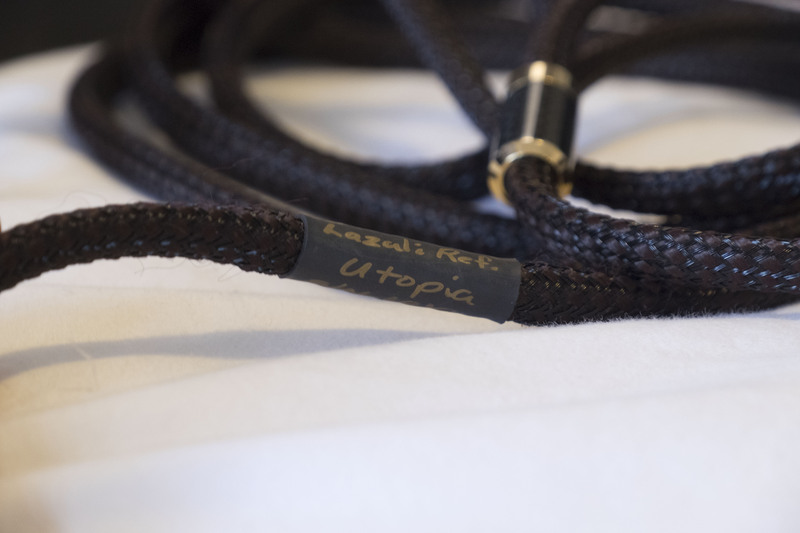 This cable just immerses you into not only the music but the capabilities of the Utopia. Not as tight as the other cables but provides this tube-like, mellifluous sound. Really works well with the Chord DAVE. The Kimber gets close but comes off a bit aggressive at times. Kimber sounds a bit harsh in comparison. Danacable is much more fluid and natural as far as tonality and realism. Much better slam and weight of attack than the entire cast. Fantastic timbre and the most melodic cable out of the group. It’s what music’s all about. The Nordost has more of a novel sound that I would not attribute to being of the artist’s intent. It is addictive though and would go well with warmer/darker gear. 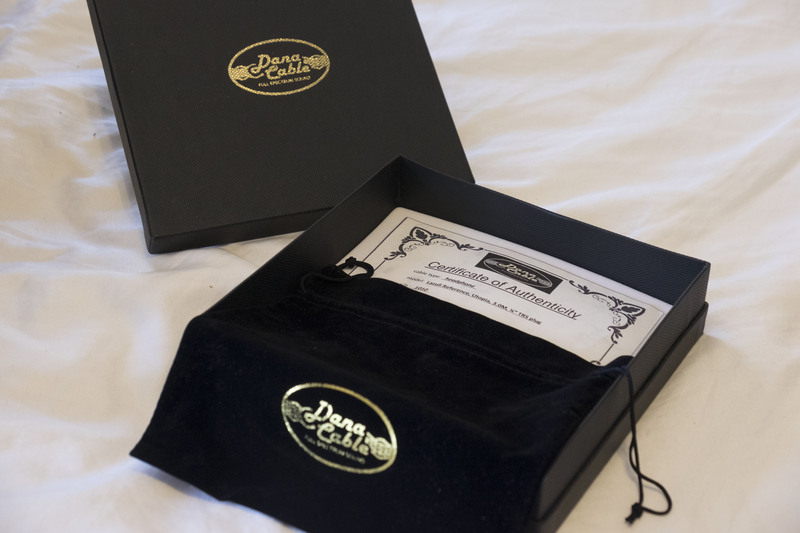 The Danacable just seduces you into the music, not as refined as the Nordost but very musical. During my listening sessions, I really just wanted to go back to the Danacables any chance I could. It just provided an experience rather than an exam. As far as pure musicality, the Danacable Lazuli Reference exhibits the best of all worlds. It wasn’t the tightest or the most detailed but it provides more than enough of it. It was to me, the most palpable, punchy, and overall the most musically enjoyable cable out of the cast. They are a bit thicker and heavier but it didn’t bother me. Are there times I wish it provided more clarity and delineation? Yes…but not at the expense of being harsh, overly analytical, or lifeless. Developing a cable that has the right balance of all the important attributes is extremely difficult to do and I believe the Lazuli Reference hits that sweet spot. You don’t think of those attributes because the music just flows out beautifully. From my listening, the Danacable Lazuli Reference has enough resolution, low-end detail, body, slam, image size, spaciousness, textures, and energy to provide the listener with an amazing experience that is probably most aligned with what the artist intended the song to sound like. To my surprise, it even had enough shine up top. I can’t express how fun and open this headphone sounds while still maintaining a very accurate, natural, and balanced tonality. Perfect timbre on instruments and precise imaging. It has all the qualities of a high-end headphone cable. For my Utopia listening…I’ve always gravitated towards the Danacable and I rarely felt the urge to pick up the other ones. It just feels like home with this cable. As a baby audiophile, I liked to chase shiny things. Something unique or novel sounding or something that allows me to put an X-ray onto the recording. I’ve now steered towards gear with more “artistic intent.” A piece of equipment that stays honest to the recording, regardless of genre, and still truly engages both the analytical and emotional parts of my mind. The Lazuli Reference is one such piece that does just that. The Danacable doesn’t require a huge commitment from the listener to fully enjoy the sound from the Utopia. The cable harmonizes so well with the Utopia that pointing out any faults would be blatant nitpicking and actually makes me felt a bit guilty. I rarely make these definitive statements but if you were to purchase this blind, I’m quite sure you won’t be returning it. 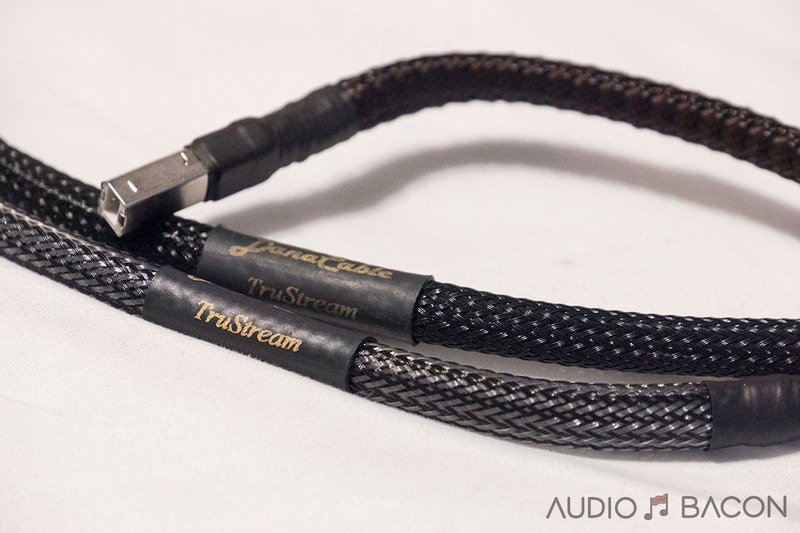 That’s how good I believe this product is and the reason why I believe the Danacable Lazuli Reference is the best headphone cable you could buy for your Focal Utopia. Thanks Jerry! Yeah, everything just sounds right with that pairing. Have you tried other cables? Hi，Jay！I don’t really have chances to try other cables. However,after seeing this review, I really want to try prion4. Can you compare Prion4 and Lazuli ref a little bit more? Thank you! Personally, I think the Utopia sounds great out of the DAVE. Every amp I’ve tried with the DAVE wasn’t as transparent (but some did color the sound). Guess that depends on what your goals are. I’m actually using the DAVE to power some Omega speakers directly right now and it sounds great. The Prion4 is a superb cable, only thing it lacks is a bit of textural warmth. I think it pairs beautifully with LCD-4 and HEK or with any warmer or tubey amps. Sorry for my english , i’m french! treble, warmth,…, I hesitate, between the two cables… Thank you! I thought the Lazuli Reference had just the right amount of clarity, energy, and shine over the original to merit its price point. From memory, the original had a warmer tone and didn’t have as great a delineation as the reference and definitely wasn’t as detailed. Oddly enough, the only thing that changed was double the copper. I would also guess it’s headphone dependent as I enjoy the Danacables with neutral/brighter headphones. Based on what you said I went for the Nordost because of the most realistic instrument timbre. They did not disappoint. I am hoping to hear the Lazuli in the next few months. Thanks for the detailed and informative review. How are you liking the Nordost Heimdall 2? Do you have the Utopia’s? If so is the Nordost noticeably better than the stock cable? The Prion 4 is way out of my range so I’m looking at the Axios, Nordost and Dana but would love more info before making the purchase. Thanks! Jay thanks so much for your review here. I’ve got the Utopia’s and within 2 weeks I’ll have the Decware Taboo MKIV which is a tube headphone amp. The Prion 4 is out of my range so I’m looking at the other 3 you reviewed here. Do you think a tube amp might tone down the aggressiveness of the Axios a bit? 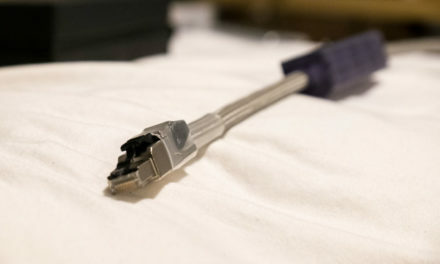 Do you know if the Axios was brand new or did it have some break in time? I’m wondering if some of the characteristics you mentioned of the Axios could change with break in. 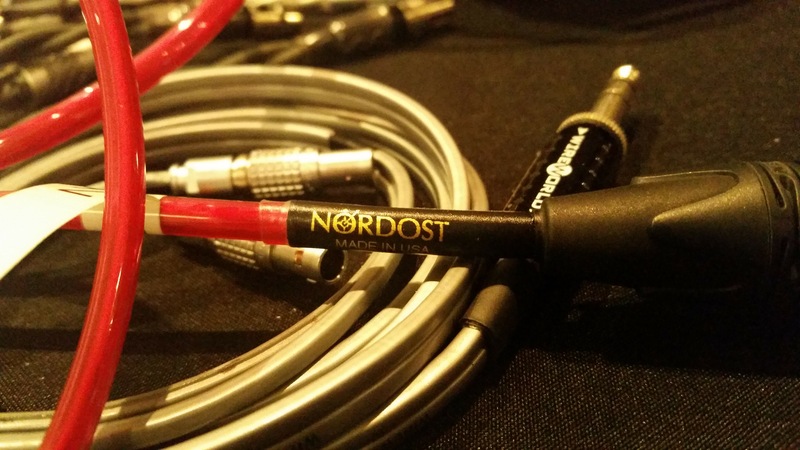 Were you using the Nordost with the 2 meter extension cable or without? Any more insight would be greatly appreciated, thank you, Aaron. The Axios was well broken in. Tubes may help smooth out some of the haze and energy but I’m thinking it’ll do better with the Nordost. The Nordost is much better than the stock. It didn’t have the 2m extension. The DHC Complement4 may also work well with tubes. Jay, many thanks for your review. I agree 100% with your findings. I had the chance to buy a used Lazuli Reference for my Utopia headphones, recently. I am so happy that I read your review before, which led me to buying this amazing cable. Dave + Lazuli Reference + Utopia is an end-game setup. Compared to the Utopia stock cable and also to an other quite highly regarded aftermarket cable, the Lazuli Reference is the clear winner in my Setup. Soundstage is considerably larger, more depth, width and height, so more 3D like. Attack is fine, bass extends deep without mid-bass emphasis. It offers high resolution, but does not sound overly analytical. No emphasis on the presence area (several other cables are not without problems in combination with the Utopia here), no grain, no harshness. Amazing. I’m getting the Axios on Saturday for the Utopia, and I’m running it out of the Hugo 2. Hi I have the Moon Audio Black Dragon headphone cable for my Utopia. Definitely tighter and better stage sounding than the stock cable and pleased with it. 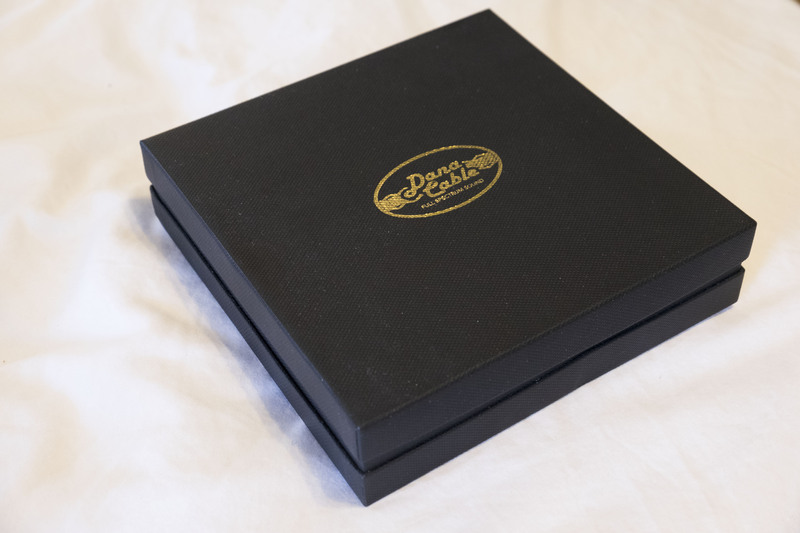 Listen to vinyl through valve phono stage and headphone amp, so would be keen to understand if you have any comparisons or thoughts on what advantages the Dana cable might have over this. Won’t know until I hear both but the Black Dragon seems like a good match as well. Brise Audio UPG001HPRef. cable is better than both Dana and Dragon. The Utopia stock cable is so heavy. How do these compare to the weight of the stock cable? 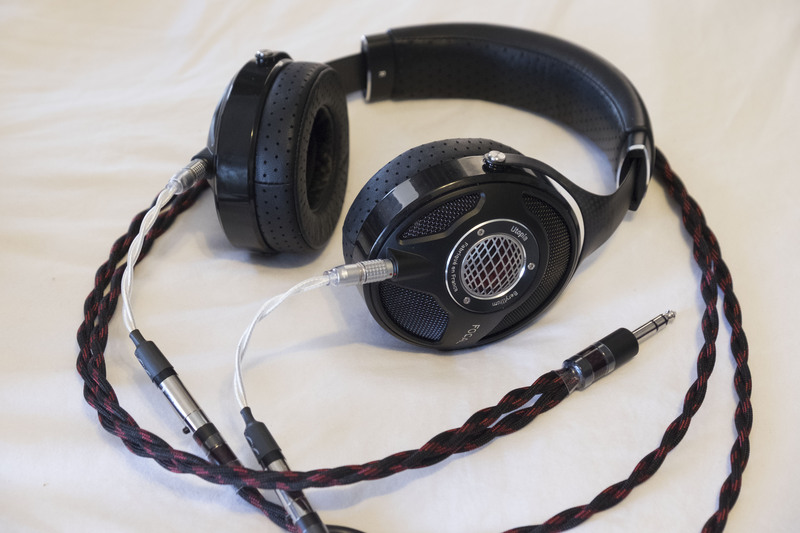 I’m looking for a cable that is lighter weight and one that might give a little more oomph to the low end/sub frequencies on Utopia headphones. Have you had an opportunity to try the new Lazuli Ultra cable? 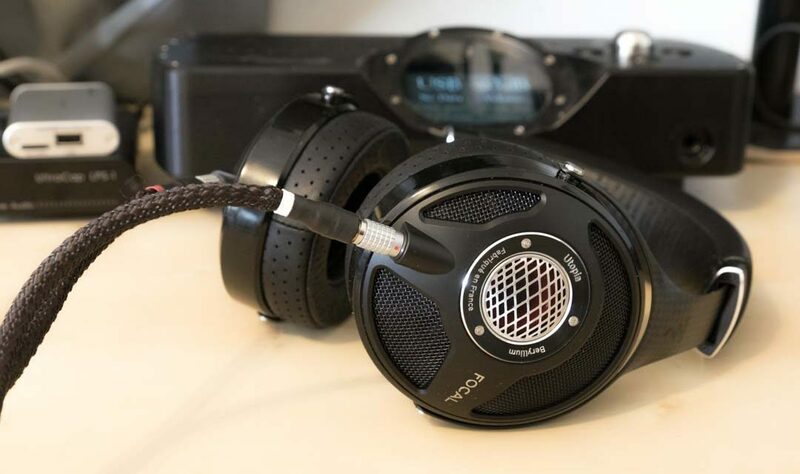 I would be interested to learn how it compares with the Lazuli Reference when used with the Focal Utopia or the HE1000v2. Hi Jay im enjoying your reviews ver much, you did great work! Have you considered trying Norne silvergrade cables? I never read comparisons with it and Danacables. OC large gauge silver so it didn’t sound harsh everyone say. Im debating between it Dana reference. Dana should pair better with my HD800S, but im interested in your thoughts as well. From what you’re describing, the Norne might be up your alley. Large gauge silver tends to add a bit of warmth…at least to digital cables. I don’t think I’ve heard a large gauge silver headphone cable. Wireworld, in general, are on the more speedy, hyper-detailed, and brighter side of the spectrum (not my cup of tea). The Lazuli Ultra might be a good candidate as well. I will be reviewing the Nirvana this week. Thank you Jay, if you will have a chance to review Wireworld starlight 7 usb i would be pleased to hear how it sounds with Lazuli Reference. Big thanks.